“The magistrate in his summing up said that he had no doubt whatsoever that I was politically involved. This should stand to my benefit at a later stage and should really nail the lie that I’m a gangster, a criminal”. – Frank Keane, Brixton jail, 14th August, 1970. Frank Keane, who is now over eighty years of age, was born on May 8, 1936 in Peter Street, Westport, Co. Mayo. He was once regarded as a dangerous political opponent by the Irish establishment. Over the past number of months Republican Prisoners have been consistently gathering Freedom of Information statistics regarding the regime in Republican Roe House. This has been undertaken to dispense with the false claims by NIPS (Northern Ireland Prison Service) spokespeople and unionist politicians that the restrictions in place here are due to threats. These statistics showed that in the 6-month period between 1st September 2016 and 1st March 2017 there were no alarms hit on the wing, whilst 621 alarms were activated in other areas of Maghaberry, including over 100 in certain houses. Despite this our regime remains among the most restrictive in Europe. These statistics have been shown to all the relevant oversight bodies, groups and political parties, some of whom had previously stated that a period of calm would leave room to open discussions with the Jail Administration regarding increasing numbers out on the landings. These statistics were further reinforced by media coverage of a tribunal involving two former governors which revealed that the restrictive closer of a stair grill on the wing was contrived by reactionaries, and NIPS lied to a Stormont committee regarding this. Reactionaries in the Jail Administration have responded to all of this with increased restrictions on movement and a variety of punitive measures. They are determined to demonstrate that they will not abide by the August 2010 Agreement and their actions go unchallenged by the aforementioned parties. It is clear to us that Maghaberry Jail remains a bastion of the Orange State which refuses to heed pragmatism for a reason. There appears to be a small-scale effort to undermine the UCC project attempting to document those executed by the IRA during the War of Independence. Kevin Myers, Tom Carew (both 2 October) and now Gerard Murphy (9 October) have had a go. Murphy in particular questions the professional standards applied. UCC historian Andy Bielenberg answered convincingly on the project’s behalf last week, 9 October. Given the standards applied in Murphy’s much-panned The Year of Disappearances (2010), his allegation is surprising. To give one example: in chapter 50 (of 58) Murphy alleged that six unnamed, untraceable, though, paradoxically, ‘well known and prominent’, Cork Protestants were disappeared by the IRA on St Patrick’s Day, 1922. No hard evidence was advanced. Instead the Peter Hart-inspired author cited Cork Protestants in business soon afterwards condemning attacks on Catholics in Northern Ireland, and ‘deny[ing] that they have been subject to any form of oppression or injustice by their Catholic fellow citizens’. Murphy then speculatively observed, ‘for southern Protestants in general, suppression was the price of survival’. To borrow a phrase from Professor Paul Bew in another context, ‘history it ain’t’. Murphy’s research was not reliable. He should refrain from throwing stones at others. “I’d like to begin by thanking the organisers of today’s picket for asking myself to represent the Republican Network for Unity and our POW’s department Cogus here this afternoon. It’s a privilege and an honour to address you all. 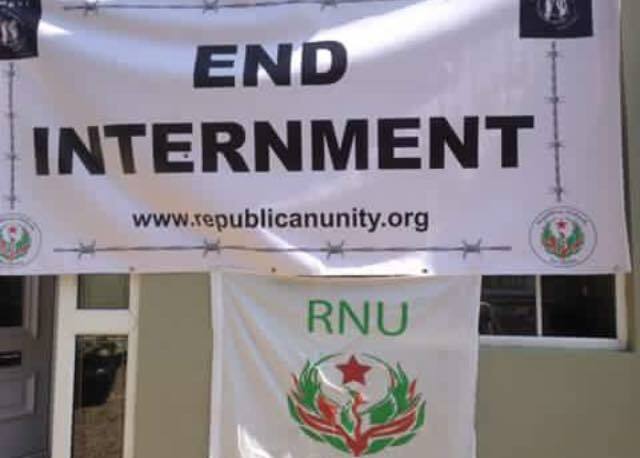 “The fact that we are here for the 3rd year in a row is evidence that Internment as a tactic to disrupt political activity is very much alive but also that our opposition to Internment is equally alive. “In order to oppose Internment we must first understand what it is and what it is used for. In many ways the word has been over used and as such has lost much of its impact and meaning. There are those who would say that everyone incarcerated by the British or the Free State are interned. There are those who would state that while all internees are political prisoners, not all political prisoners are internees. “For our purposes, however, it is enough to state that the original definition of internment is correct. Those who are detained without charge for the political expediency of the state. People like my comrade Tony Taylor, a perfect example of internment by the state to prevent and hamper legitimate political activity. Tony, like Martin Corey before him, has been remanded in custody at the behest of the British secretary of state. No semblance of a trial, no pretence of a trial. Secret evidence that can’t be disclosed and won’t be disclosed because it doesn’t exist. 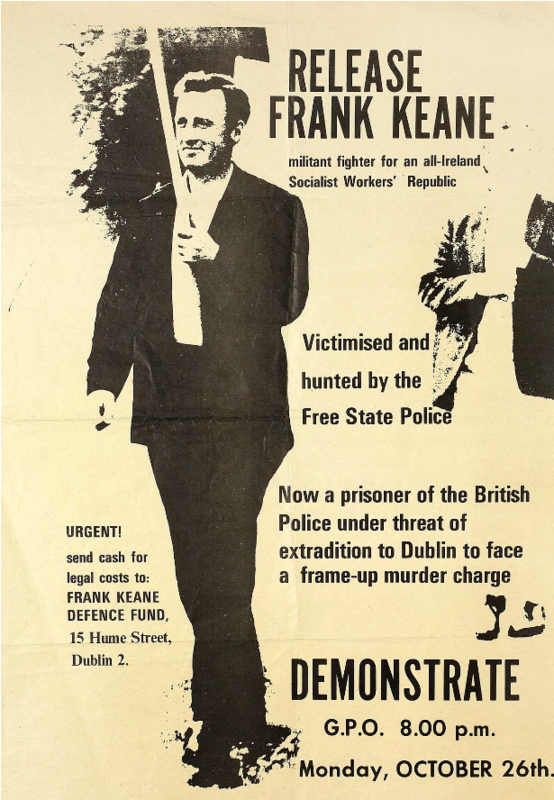 The Special Criminal Court was set up by Fianna Fail in 1972 as part of their attempt to suppress the national liberation struggle that had re-erupted in the late 1960s. The ‘Soldiers of Destiny’ were worried that there was mass support in the south for the struggle in the north, especially following the burning down of the British embassy in Dublin in early 1972 after the British Army massacre of peaceful protests in Derry on Bloody Sunday. The southern state sought to regain the initiative and repression of republicans through things like juryless courts, secret evidence and so on was the order of the day. One of the most notorious of the Special Criminal cases was the Sallins train robbery case in 1976. A mail train was held up and robbed and the state, worried about the rise of the Irish Republican Socialist Party, arrested five members – Osgur Breatnach, Michael Plunkett, John Fitzpatrick, Nicky Kelly and Brian McNally. ‘Confessions’ were beaten out of four of them. Evidence of the beatings was simply dismissed by the judges and the men were convicted on the basis of confessions alone, although two jumped bail and fled the country. It took four years before several convictions were overturned, but the last one took until 1984. 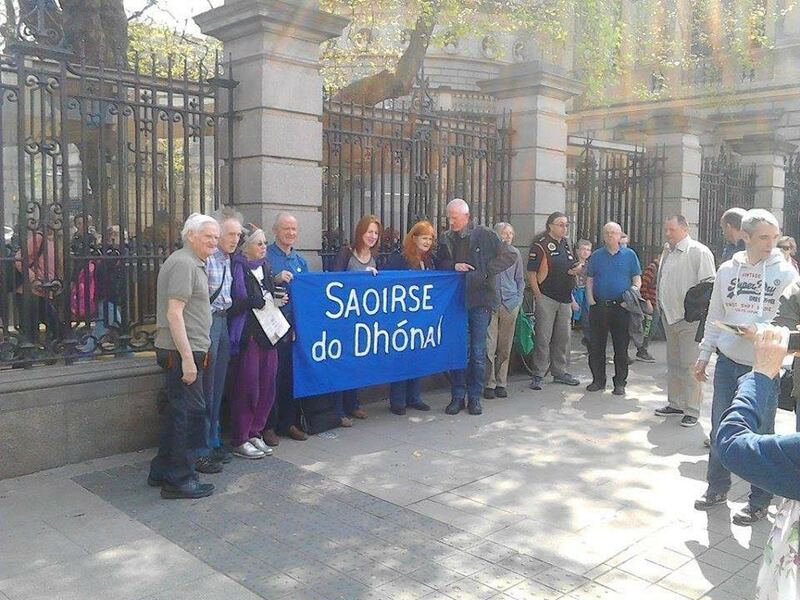 Last Thursday (May 12) saw a protest outside Leinster House against what is, in effect, the internment of republican activist Dónal Ó Coisdealbha. This case is particularly appalling since he will be tried by a non-jury court (the Special Criminal Court) where the three judges can accept secret evidence. Although three TDs (Clare Daly, Maureen O’Sullivan and Mick Wallace) have offered to put up bail and Dónal has agreed to house arrest and electronic tagging, he has been denied bail. It’s in the interests of everyone concerned with basic civil liberties to oppose what amounts to the internment of this young activist. The excellent piece below appears in this month’s issue of the journal Irish Political Review. 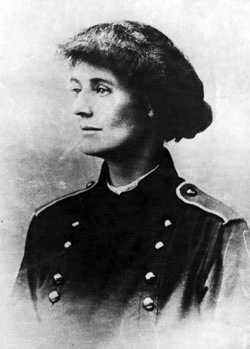 It deals with the extraordinary and malicious assault on the reputation of Countess Markievicz, an assault which has been ratcheted up in recent years by Ann Matthews. Matthews seems to have decided to devote her twilight years to a personal vendetta against the revolutionary countess – indeed, the vendetta seems almost out-of-control now, in terms of what she says about Markievicz, making Matthews look somewhat obsessive and deranged. She suppresses evidence, uses ‘evidence’ which is highly questionable, cherry picks evidence to suit her already decided upon line, claims to have ‘no theory’ as if she is just some impartial fact-finder, and writes books and plays which appeal to a particular type of audience (middle class, anti-republican) who lap up her fanciful ‘history’. In reality, hatchet job as history. I had been thinking of writing something about Matthews and her methods for a while, when I received the piece below from a friend of mine in Belfast. What is most notable about the critiques of people like Matthews is how strongly evidence-based they are. They show Matthews and her fellow revisionists to be short on facts and long on prejudice and not particularly scrupulous – and certainly not rigorous – when it comes to dealing with evidence. Sometimes, however, you do just have to laugh. For instance when Matthews refers to Markievicz as “eccentric” and “with a strong sense of her own self-importance”, I think this is what the psychologists call ‘transference’! In a future short piece I’ll deal with Charles Townsend on Markievicz’s imaginary breakdown and with Fearghal McGarry’s complete misrepresentation of evidence from Barton & Foy’s book on 1916. (Barton & Foy demolish the nonsense that Markievicz broke down at her court-martial and call the claim ‘scurrilous’, whereas McGarry pretends that they say the account of her breakdown was expunged from the official court-martial proceedings!) If I can summon the energy, I’ll also comment on Matthews shoddily-written Renegades, point to the shoddiness of the writing, suppression of evidence and some of her sleights-of-hand and double standards. It’s hard to believe that her ‘work’ is taken seriously, so it’s hard for me to summon up the energy to deal with it. She should have been taken to task for all this by her PhD superviser/s and marker/s. Perhaps someone in Ireland or Britain doing honours papers could methodically go through Matthews’ ‘work’ and check her ‘references’ as well as her omissions and double standards. It could be a model dissection of how a rather crude anti-republican propagandist goes about presenting their propaganda as merely truth-seeking historiography. “MURDERESS” MARKIEVICZ OR MALICIOUS MISOGYNY? From April 20 to May 2 of last year a Show Trial took place in the Headquarters of the Communist Party of Ireland. A year later, during this past month of March, the Show Trial resumed in CPI HQ, with the defendant scheduled to be extradited to Paris for the final day’s Court sitting on April 23. On trial for “murder”, and undoubtedly scheduled for a death sentence, gender considerations nonetheless signaled commutation. But no, the CPI has not been seeking to emulate any of the Show Trials that characterised Leninist rule in Eastern Europe. Indeed, the CPI has no responsibility at all for Madame de Markievicz on Trial. For understandable commercial reasons, the CPI shares its premises with the New Theatre. But just as I found it incongruous to pass through Connolly Books en route to finding out just how nauseating the theatrical character assassination of Connolly’s comrade-in-arms would turn out to be, I am sure CPI personnel found it even more nauseating to witness, on a daily basis, those audiences en route to lap up that Show Trial authored by one-time CPI-archivist Ann Matthews.